Traditional standards for Electronic Data Interchange (EDI), such as EDIFACT and ANSI X12, have been employed in Business-to-Business (B2B) e-commerce for decades. Due to their wide industry coverage and long-standing establishment, they will presumably continue to play an important role for some time. EDI systems are typically not “process-aware”, i.e., messages are standardized but processes simply “emerge”. However, to improve performance and to enhance the control, it is important to understand and analyze the “real” processes supported by these systems. In the case study presented in this paper we uncover the inter-organizational business processes of an automotive supplier company by analyzing the EDIFACT messages that it receives from its business partners. We start by transforming a set of observed messages to an event log, which requires that the individual messages are correlated to process instances. Thereby, we make use of the specific structure of EDIFACT messages. Then we apply process mining techniques to uncover the inter-organizational business processes. 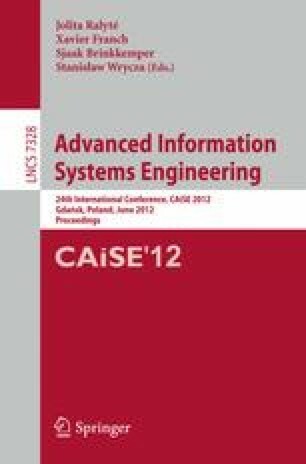 Our results show that inter-organizational business process models can be derived by analyzing EDI messages that are exchanged in a network of organizations. This research has been conducted in the context of the EDImine project and has been funded by the Vienna Science and Technology Fund (WWTF) through project ICT10-010.